The Fall Gate | Just Shooting Memories! Well, actually winter, but it could have been fall. I found this taking a different route home in between the massive snow storms that we had this winter. From what I have heard, there is supposed to be more cold weather. Not snow mind you, but much colder than normal. 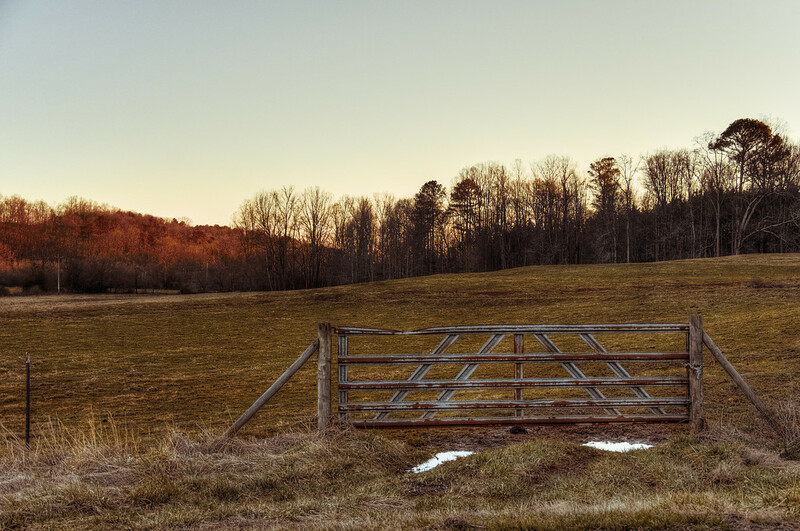 Even though the sky was bland this day, I was still able to find this nice pasture to frame the gate.